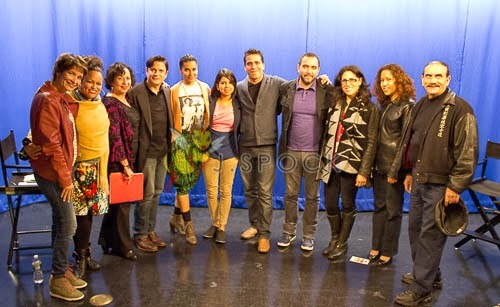 On Thursday, October 10, 2013, the National Association of Latino Independent Producers (NALIP), Tío Louie, the Hispanic Organization of Latin Actors (HOLA) and United Latino Professionals (ULP) presented the October edition of the Prime Latino Media Salon. This edition took place at Manhattan Neighborhood Network (MNN) El Barrio Firehouse Media Center in Manhattan's El Barrio neighborhood and was filmed for posterity and later airing. 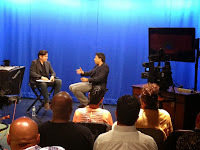 The topic of the salon was "Latino Narrative Filmmakers". Moderated by Louis E. Perego Moreno (Tío Louie), the panelists included Derek Vélez Partridge (writer-director-editor of the feature A Miracle in Spanish Harlem, hitting movie theaters nationwide on December 6, 2013); Sonia Malfa (writer-director, Close Your Eyes); Daniel Maldonado (writer-director, H.O.M.E. ); Lorena Gordon and Sandy Pérez (writer-director and producer, respectively, Times Like These). Prior to the live recording, as is common at a Prime Latino Media Salon event, there was time to network and reconnect with other Latino multimedia-makers. 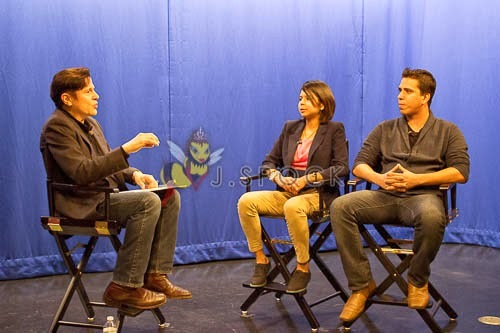 After an introduction by MNN's Iris Morales, the recording began and Tío Louie spoke with Vélez Partridge, Malfa and Maldonado individually (and the team of Gordon and Pérez jointly), and showed clips of the respective projects of each filmmaker. He then had a roundtable discussion with all of them and then posed previously-prepared questions from the audience. After wrapping up the taping, Tío Louie fielded a few more questions from the audience before closing off the studio and leading everyone outside into the lobby where people had an extended networking session. HOLA would like to thank so many people for making the event a success– including the panelists, Iris Morales, Betsy Salas and the staff of the MNN El Barrio Firehouse Media Center; Jorge Álvarez; Danny Jiminian; Wilfredo Roldán; and especially all the Latino multimedia-makers in attendance. New HOLA Short-Term Memberships Available! !